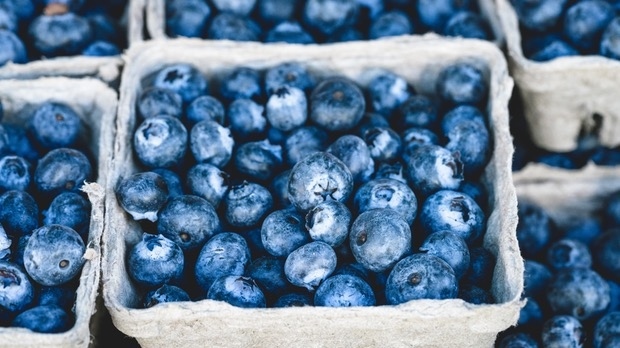 HALIFAX -- Blueberry growers in Nova Scotia say about 60 per cent of their wild crop was damaged by a killer frost in June, dealing a major blow to the province's largest agricultural export crop. Barron Blois, president of the Wild Blueberry Producers Association of Nova Scotia, said Wednesday that the estimate is based on reports from growers who've been inspecting fields that normally yield as much as 60 million pounds of the fruit annually. The Kennetcook-based farmer says government disaster relief cheques won't be distributed until after provincial authorities have completed damage assessments, leaving many farmers facing large bills and limited income. "It's the end of the year before a proposal would go into the federal government under disaster relief, so growers can't expect anything this year from it ... which doesn't do a lot to pay the bills this year," said Blois. The overnight temperatures on June 3 varied around the province, but Environment Canada said record lows were set as the Annapolis Valley saw temperatures drop to almost -2 C, marking a huge shift from the 28 C high three days earlier. Researchers with the applied geomatics research group at the Nova Scotia Community College have described such rapid temperature flips as rare, with only one similar episode in 1978 when temperatures fell below 0 on June 2. Sub-zero temperatures are not unusual in April and early May in Nova Scotia, but June frosts are rare in the province. The precise value of the lost blueberry crop is difficult to estimate because the price per pound hasn't been established, but Blois says he's already heard that some processing plants won't be opening due to the shortage of blueberries. The last two years have seen lower prices than usual and Blois said unless prices are better this season, growers may choose not to harvest at all. "They won't be able to gather up enough fruit per acre to cover their costs," he said. Blois said in his lifetime of farming he's never seen a frost like the June 3 event, and added he believes that climate change is starting to have an effect on farming in the province. He adds that he's witnessing higher amounts of precipitation and erosion on his farm. "We used to pick 3,500 to 4,000 pounds per acre, but I'd be surprised if there's 1,000 pounds there this year," he said.